The HC-SR04 is an inexpensive solution for measuring distances using microcontrollers. This library provides a simple driver for controlling these sensors from CircuitPython, Adafruit’s port of MicroPython. 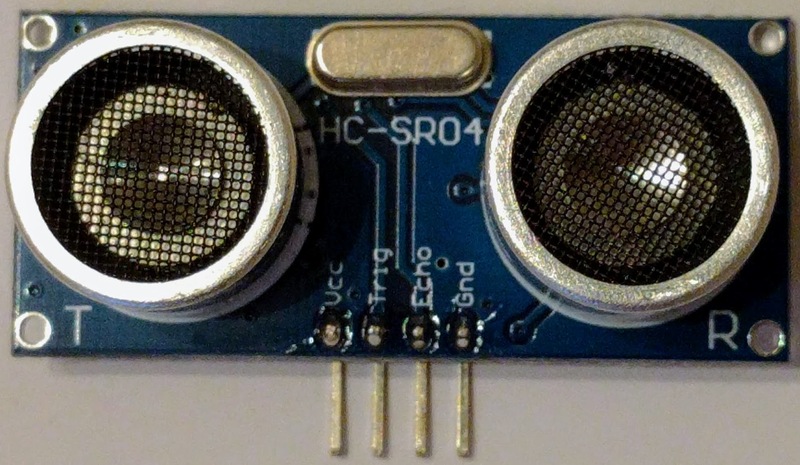 This driver depends on CircuitPython and is designed for use with an HC-SR04 ultrasonic range sensor. You’ll also need to ensure all dependencies are available on the CircuitPython filesystem. This is easily achieved by downloading the Adafruit library and driver bundle. The HC-SR04 uses 5V logic, so you will have to use a level shifter between it and your CircuitPython board (which uses 3.3V logic). If you want to use an HC-SR04 with MicroPython, I recommend checking out this library. You’ll need to dedicate two pins to communicating with the HC-SR04. The sensor communicates in a very rudimentary manner, so it doesn’t matter which pins you choose, as long as they’re digital IO pins (pins that start with “D” are digital). There are two ways of instantiating a HCSR04 object: with or without using a context manager. It is technically possible to communicate with the HC-SR04 using only one wire since the trigger and echo signals aren’t ever active at the same time. Once I have a chance to determine a safe way to do this, I plan to add this as a feature to the library. Gives more info on using context managers with CircuitPython drivers. In the example below, we create the HCSR04 object directly, get the distance every 2 seconds, then de-initialize the device. In the example below, we use a context manager (the with statement) to create the HCSR04 instance, again get the distance every 2 seconds, but then the context manager handles de-initializing the device for us. © Copyright 2017 Mike Mabey. Revision ad6afffa.